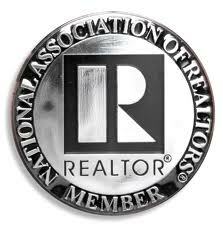 (AEI - American Enterprise Institute) -- Today, the National Association of Realtors (NAR) will be running its third ad presenting what it calls “FHA Facts“. The NAR apparently supports the FHA’s decades-long loan insurance nightmare that has resulted in an estimated 3.2 million dashed homeowner dreams since 1975. This represents a failure rate over 37 years of 1 in 7 families who have gotten an FHA loan. This is nothing short of scandalous. Notwithstanding this long history of financing failure, the NAR says that the FHA can responsibly serve the needs of homeowners with lower credit scores. Indeed, the NAR proposes to subject even more first-time home buyers and working class families, many of whom are minorities, to the FHA’s abusive lending practices. The NAR would have these families experience foreclosure rates of 10, 15, and even 25%. History tells us that many working class neighborhoods will suffer even higher rates of failure. NAR says its members “oppose any changes to FHA that will cause a disruption to the housing sector…” and now is not the time for reform. They are wrong. Now is the time to end the nightmare at FHA.